Up Marketing was retained to evaluate the promise, personality and positioning of Kawartha Conservation with respect to their 5 year strategic plan and to identify current key messaging points, as the existing brand identity had become outdated and increasingly out of sync with the growing mandate of the organization. A questionnaire was developed to canvas staff, partners, stakeholders and key engagement targets, from which a brand strategy was formed. 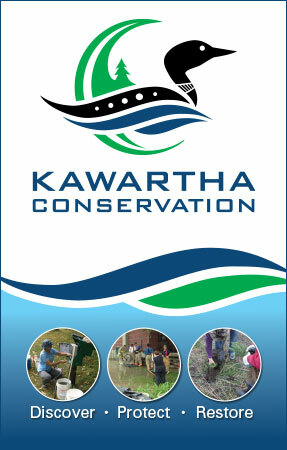 We conducted a competitive survey to ensure that the Kawartha Conservation identity would be unique in the ‘conservation space’, but also complementary when associated with Conservation Ontario and Kawartha Conservation’s individually branded programs. With the groundwork done, Up Marketing led the organization through the development process that produced a new tagline and logo. Roll-out consisted of a full suite of stationery, signage, presentation and event support materials.